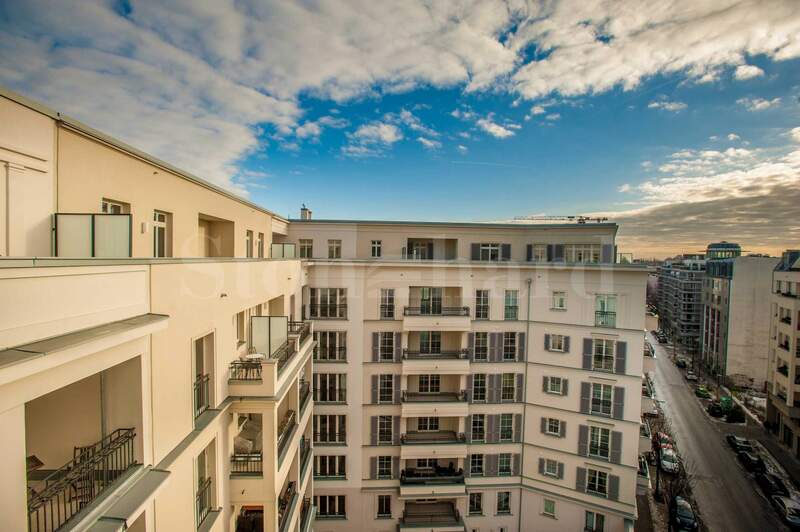 This classic Berlin development, designed by renowned architect’s office Patzschke, combines modern conveniences and technical perfection. The property consists of 5 interconnected houses. The individual floors can be reached barrier-free with an elevator via the spacious foyer with noble natural stone. The development features 29 apartments with 3 to 5 rooms and living spaces from 91 sq. m. to 241 sq. m.
High quality equipment features like oak-parquet flooring in all the living spaces, underfloor heating, premium ceramic floor tiles, high ceilings up to 3.25 m, sanitary installations from Villeroy & Boch and much more. Residents can acquire a car space in the underground parking garage. 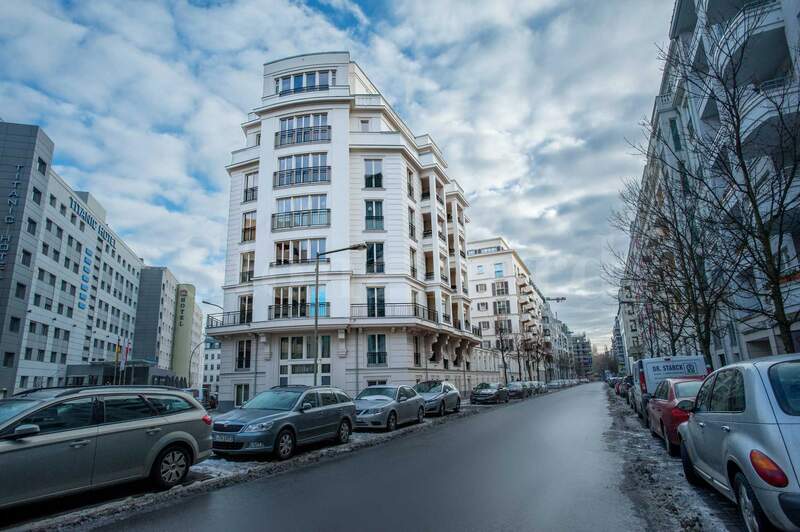 The project has the most central and convenient location in Berlin-Mitte: it is only a minute walk away from the U-Bahn Station U2 Spittelmarkt, surrounded by quiet streets and within walking distance to parks, the river Spree, restaurants and shops. Famous landmarks like the Gendarmenmarkt, Friedrichstrasse, Hausvogteiplatz, Alexanderplatz, the Berlin Cathedral and Museum Island can all be reached by foot. Along the Spree canal the Schlossplatz (Palace Square) can be reached, where currently the new „old“ castle is emerging. The living and business quarter of Berlin between Fischer Island, Spittelmarkt and the Alte Jakobstrasse has been altered completely. Numerous gaps between buildings have been filled with attractive architectural buildings. This area offers interesting art, music and history represented in numerous exhibitions, concert halls and museums. Historical buildings like the Hackesche Höfe and the Rosenthaler Höfe combine living and working in a charming manner. The district Mitte is very well connected to the public transport system (7 commuter train lines, 3 metro lines, intercity train station, tram and bus lines). Via the Strasse des 17. Juni (17th of June Street), the Leipziger Strasse or the Karl-Marx-Allee, the Berliner Ring is easily accessible by car. The new airport, Berlin-Brandenburg-International, Berlin‘s surroundings, as well as railway network can be reached easily. Medical and shopping facilities, as well as diverse leisure facilities, like outdoor swimming pools, parks, cozy cafes and a range of bars and restaurants, complete this district.